After a big season finale reveal, followed by a five-month hiatus that meant no Halloween episode and a cancelled San Diego Comic-Con panel, fans were figuratively beating on the doors of The Jeffersonian in anticipation of the Bones season Seven premiere. 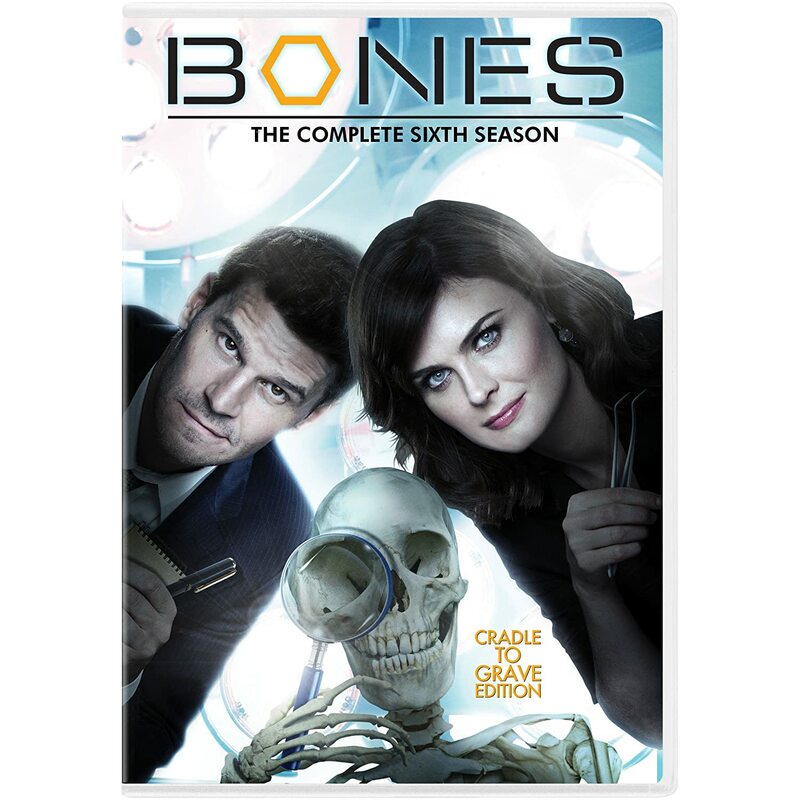 The big news, in case you have retrograde amnesia like last night’s victim, is that Bones is carrying Booth’s baby. We know that they hooked up the night that Vincent Nigel-Murray was killed. Now, apparently they are a bona fide couple. Viewers did not get to witness the progression of their relationship from partners and close friends to expecting couple. Still, fans seemed pretty quick to adjust to this new paradigm. It looks like the relationship can be made believable, given all that our favorite FBI agent and forensic anthropologist have endured together. The writers seem able to avoid turning them into a Niles and Daphne or a David and Maddie or a [insert name of couple whose pairing ruined the sexual tension and therefore, the appeal, of a show]. Booth and Bones (what would we call them, Boones?) are really quite appealing as a couple. We saw in last night’s episode that Bones’ troubled childhood and fear of abandonment continues to play into her current relationships, and that this won’t be all baby showers and sweet talk. What worries me is the lack of attention to the show’s mysteries-of-the-week. The case solved in the last season’s finale, and even more so, last night’s case, was utterly forgettable. This seems to be a trend ever since “The End in the Beginning.” That was a highly entertaining episode, set in a parallel reality that allowed us to fantasize about new directions for the characters. But perhaps we enjoyed it a little too much. The writers started focusing a lot more energy on will-the-or-won't-they and less on interesting crimes. Remember when the Jeffersonian and the FBI teamed up, cleverly combining each person’s unique talents to solve crimes that were truly suspenseful, with twists and surprises? Sometimes you wanted to pause the DVR and think for a minute, to see if you could solve the mystery. Remember “Two Bodies in the Lab” (Season One)? “Aliens in Spaceship” (Two)? “The Mummy in the Maze” (Three)? “The Passenger in the Oven” (Four)? Longer story arcs, like the Gormogon chronicles and more recently, The Gravedigger saga, further compelled viewership. The Gravedigger story line was probably the show’s most enthralling ever, and it was essentially abandoned last season. As the accused, Heather Taffet, was on her way to her appeal, her head was blown off ("The Killer in the Crosshairs") and the story took a whole new turn to focus on the sniper, Jacob Broadsky. His back story—his prior relationship with Booth—felt contrived, and we didn’t know enough about him to care. I never thought, until then, that the Gravedigger story was over—I didn’t think Heather Taffet was the real culprit. How did she transport Booth from his apartment to a ship at sea ("The Hero in the Hold")? And why were the taser marks on the neck of the last victim placed differently than on all the other victims? The show has a history of rewarding fans’ attention to detail, so I held out hope we were still going somewhere with that story. Alas, the past seems to have been eclipsed by Brennan’s belly. I just hope that weak storytelling isn’t a lasting symptom of Baby Fever. And one final thought: what the hell ever happened to Parker Booth?! Wilfred: angel, devil... or just dog? Wilfred might be an angel or a devil on his new friend's shoulder, but either way he's nothing but a dog. Erica wakes up in a hospital to find the last two years erased. Bones, Booth, and the gang investigate a death possibly caused by a mythical creature.